It’s official! Tidewater Landing is the place to be! With large, wooded homesites and access to Love Creek, it’s easy to see why 30 homes have been sold in just our first 5 months. Oh, and did we mention we can accommodate basements as well?! 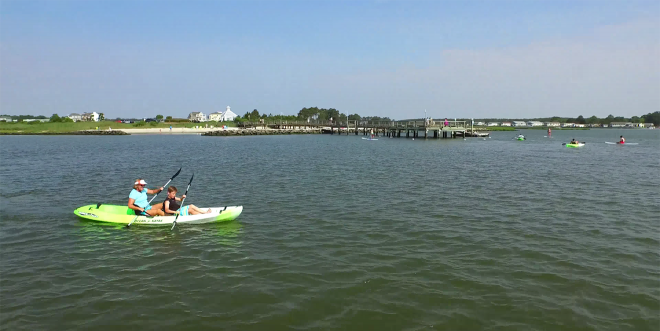 If you haven’t heard about Lewes’ hidden gem, Tidewater Landing, it has quickly become a fan favorite here at the Delaware beaches. Just 6 miles from Historic Downtown Lewes, you’ll have access to all of the local favorites, from the eclectic local shops, to the award-winning restaurants, to the pristine beaches. 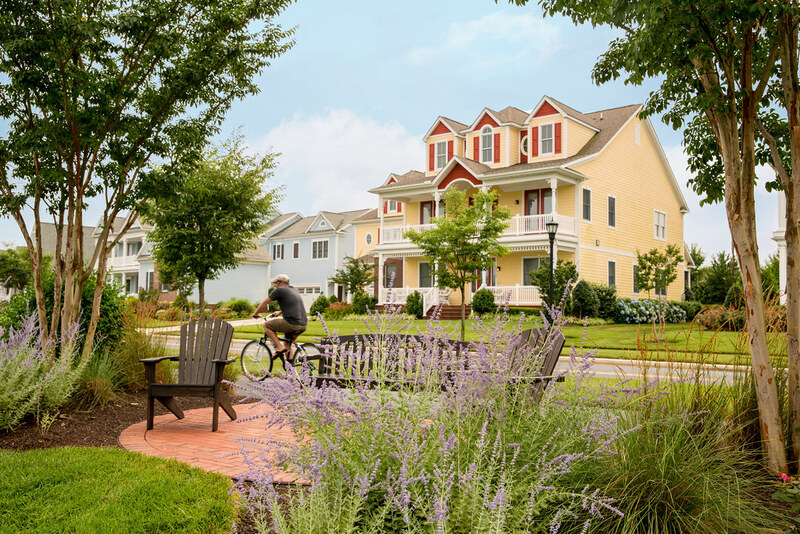 What’s more, you’ll still maintain the sense of privacy and serenity you’ve been craving in a new home, with a community tucked away in a quiet part of Lewes where the summer crowds won’t impede upon your daily life. Did we mention the HOA will be maintaining your yard? That means more time to enjoy all of the above! Tidewater Landing is uniquely located within a large forest along Love Creek, which is an estuary of the Rehoboth Bay. 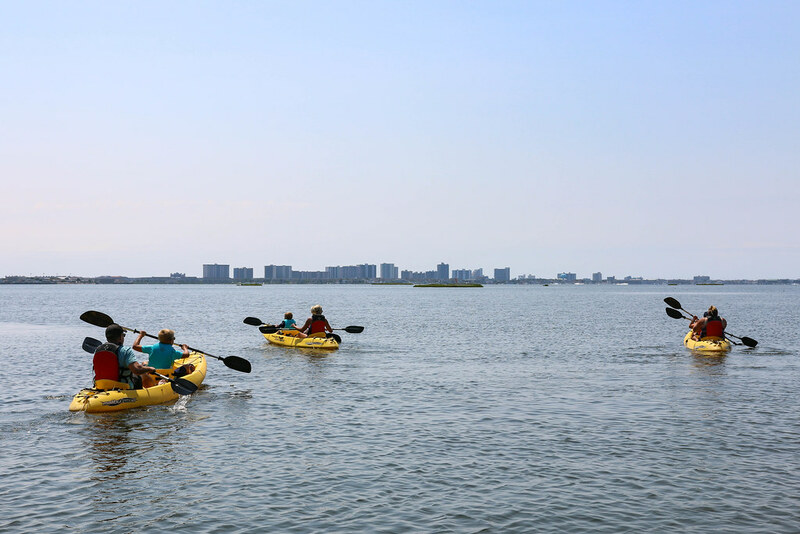 Along with the community kayak launch and fishing pier, you’ll also have access to the beautiful clubhouse with a fitness center and large outdoor pool that will sit along one of our ponds. Walking trails will weave through the wooded areas, providing you with the perfect place for walking your dog, exercising, or taking a leisurely stroll. 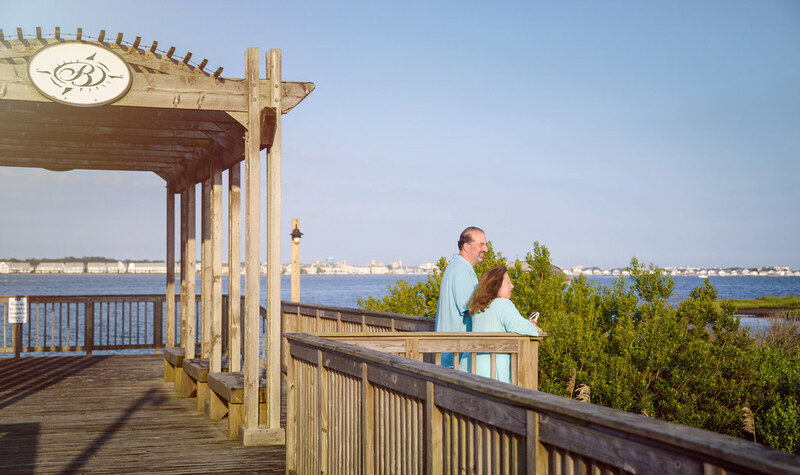 We’d love to show you first-hand why everyone falls in love with Tidewater Landing, so come on by and we’ll go exploring on our 4×4 Gator so you can fall in love too! To learn more about Tidewater Landing and to view our floor plans and pricing, simply click here. Or give me a call at 302-842-5705! Heaven on Earth. There’s no such thing, right? You decide to go on a ride, a little adventure so to speak. While you’re driving you end up going through a normal looking road, only to end up somewhere not-so normal. You arrive at this grand mesmerizing sign, where water trickles from every corner. Sitting there at the stop sign, you almost forget…everything. Including that you’re at a stop sign, but somehow or another you manage to pull yourself out of this trance. You continue on, going through a circle and a gatehouse. You’re simply just going where the road takes you. You’re in a grand daze as you pass majestic fountains, serene golf courses, and beautiful bodies of water. This love affair continues as you pass by a little “village.” You see tennis courts, pools, a grille. As a matter of fact, you most certainly did. Continuing on, you begin to pass these magical looking homes, and reaching the end you find yourself in utter shock. There’s a private beach! As you sit in your car looking out to this breath-taking bay thinking about what life is and isn’t, you begin to wonder where in the world you are. Engage in a romance with where you live, come see The Peninsula today, where you’ll find a little heaven on Earth. It’s been a year since Schell Brothers released our first section in Bayside, and with the new Magnolia Crossing section opening up towards the Point this October 1st, it gets me thinking about how far we’ve come in just the past 12 months. In that short time, we’ve sold 36 homes, and it doesn’t look like we’re going to slow down anytime soon. The momentum has carried us right into the new section of home sites in Magnolia Crossing. 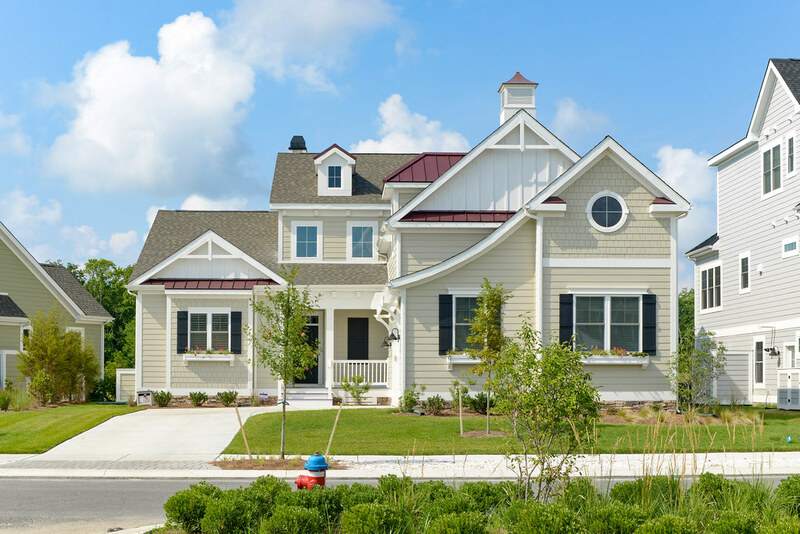 The homesites in this new phase are incredible, with some overlooking the golf course, conservation areas, and Bayside’s iconic magnolia tree. They’ll be available to purchase on a first come, first serve basis starting October 1st. 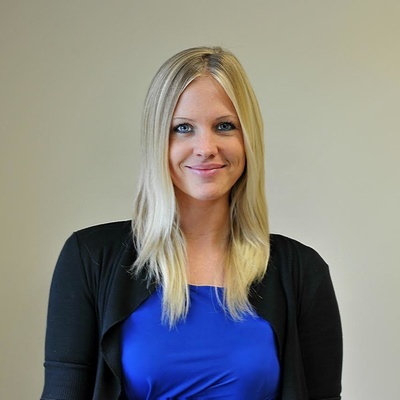 Give us a call to learn how to reserve a home site today. If that isn’t enough to get you excited, on October 11th, we’re hosting the grand opening of our highly anticipated Sanibel Model, the first of its kind to be built! I’ve been watching this home progress through construction, and let me tell you, our design team has taken this home to the next level. The views are incredible and actually this home was designed specifically for Bayside to capture the water and golf course views in this community. I could go on and on about how amazing the Sanibel is, but you should really see it for yourself so be sure to visit us during our grand opening event. 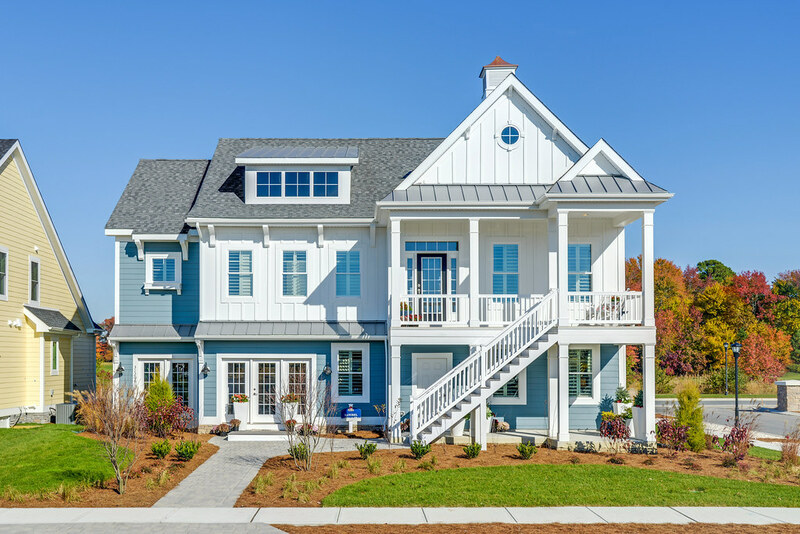 On Saturday, July 26th, Bayside will be hosting an event showcasing Schellter ™ Advanced Building Science inside three of our homes which are in various states of the construction process. 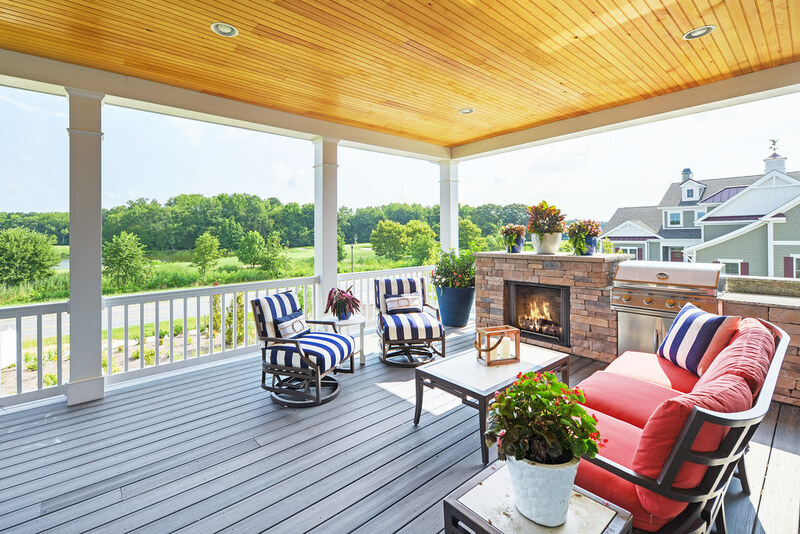 There are many innovative and energy efficient features that go into each home, and most people don’t realize all the “cool stuff” that is behind their home’s walls. You’ll be able to see everything from our advanced framing techniques which include 2×6 exterior walls, to our energy efficient blown-in insulation. Uncover the smart technology we’ve developed to provide you with the ultimate high performance home. We find that many folks have questions about our construction process and are curious as to what makes Schell different from other builders. We’ll answer all your questions and more at the event. This is the best opportunity to walk through homes that are currently under construction with our construction managers, and learn all about the technology that goes into a Schell home and why. Just remember to wear closed toed shoes. Our brand new Sanibel model will also be available for a sneak peak, so come on by the Bayside Sales and Info Center on Saturday, July 26th from 1pm through 4pm and tour our homes. After the tour, Bayside will also be hosting a Happy Hour at The Cove from 4pm to 6pm for all of our guests, so please RSVP and come see what people love about living at Bayside. We are excited to announce that Captain’s Cove has started selling as of June 7th. If you aren’t familiar with Captain’s Cove let me paint a little picture for you. 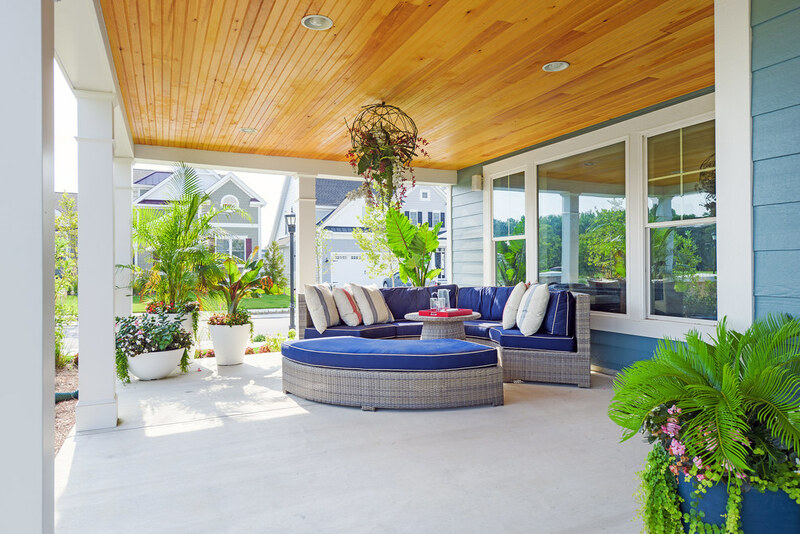 Captain’s Cove is a small private neighborhood in Bayside, an enclave of seven single family homesites surrounded by a beautiful wooded conservation area. 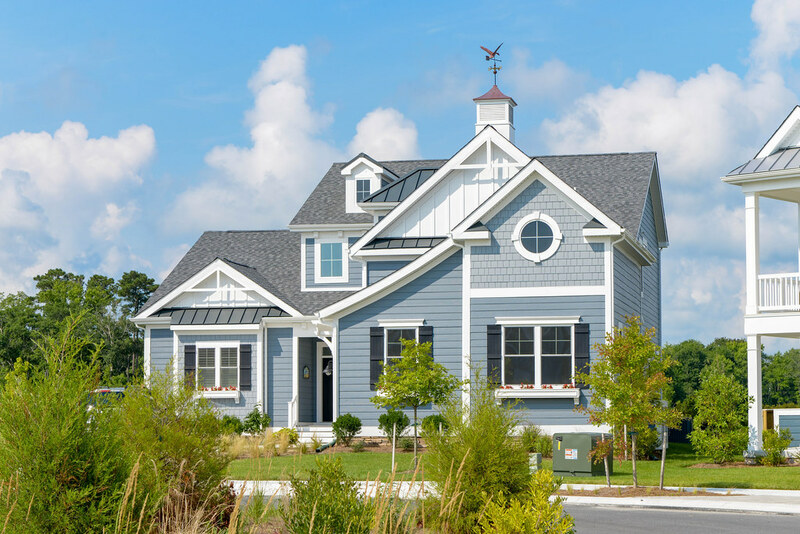 There are views of the golf course and one homesite that has a great view of the Ocean City skyline. We have already taken one reservation but we still have six home sites remaining. 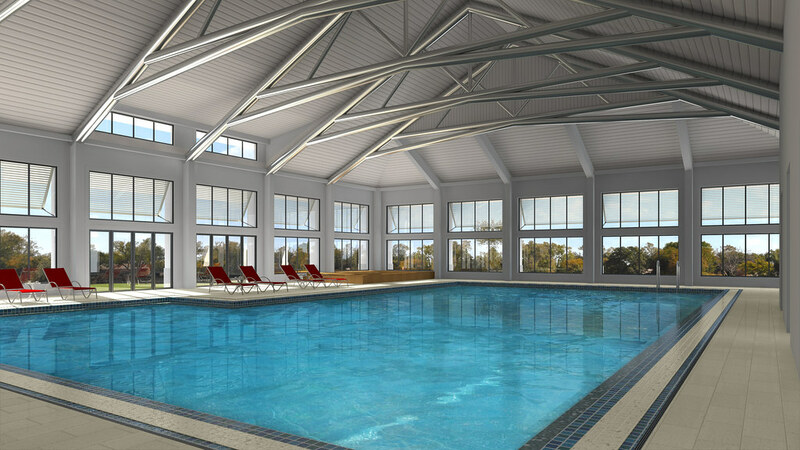 And check out our latest video showing off some of the awesome amenities here at Bayside. You may see some familiar faces in the splash zone, or on the golf course. Finally, Spring is here! Not much longer now and we’ll be enjoying some sunshine and an orange crush while sitting on the beach. Spring also brings flocks of people looking for their new home at the beach. A leaseback purchase is typically the best value in the community, where you get the biggest bang for your buck. 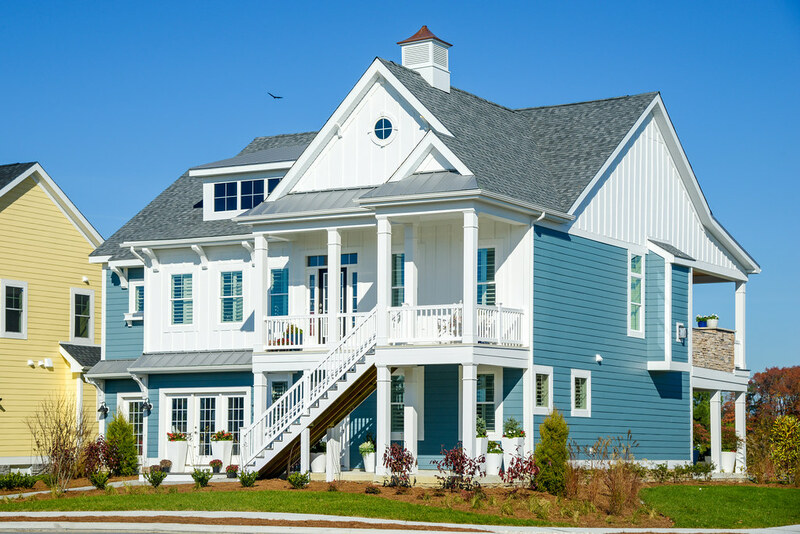 Schell Brothers typically builds a model home in each of their communities to show off the quality and curb appeal of a floor plan. We then sell that model to a buyer and agree to lease it back for a certain amount of time from the buyer, typically between one to two years. This is a leaseback purchase, or model leaseback. Now why is it the best value? Leaseback purchases are filled with buyer benefits. First off, the model homes typically are loaded with extra features and come fully furnished. This includes window treatments and accessories which are chosen from our national award winning interior designers at Echelon Interiors. I’m talking about surround sound speakers, gourmet kitchens, amazing courtyard areas, beautiful floors and built in cabinets, luxury baths, the works. And the best part is these features are heavily discounted to help sell the model quickly. For example, the Bayside model leaseback for The Sanibel, currently under construction, has a purchase price of $849,900, including furniture. If you were to duplicate this home on another home site it would cost $945,138, after incentives. That’s savings of almost $100,000 which doesn’t include the amount you save on furnishings. Since most folks start their new home search a year out, a leaseback investment can give you the perfect timeline. You also won’t have to worry about increases in home prices or interest rates, taking advantage of the current market. With Schell Brothers leasing the model back to you, it also gives you additional equity in your home that you wouldn’t have otherwise. Of course, investing in a leaseback purchase is not the best fit for everyone but we found that those who have taken advantage of these opportunities are extremely happy they did. Join us at Bayside on Saturday January 18th from 11 am until 4 pm for an open house at our brand new Sales and Information Center. 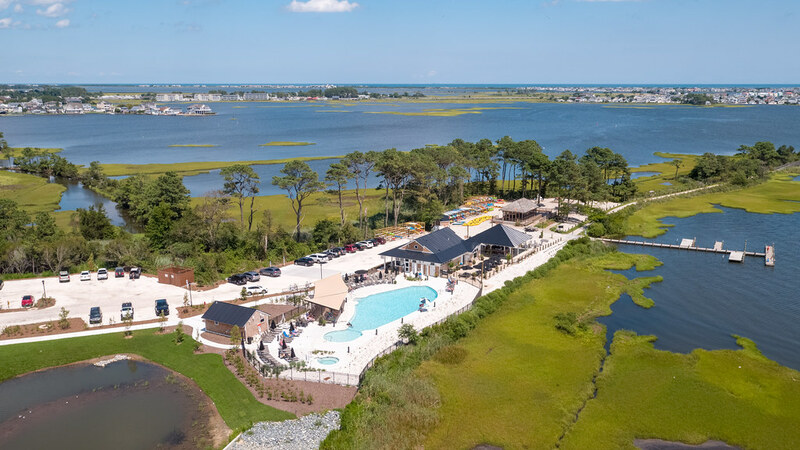 Discover the amazing amenities and homesites with golf course course views while enjoying local flavors from Bayside’s very own bar and grill, The Cove. Now, with the New Year here, we are excited to invite you to the new Sales and information center open house, and encourage you to come take a tour of the facility located in the heart of the community. 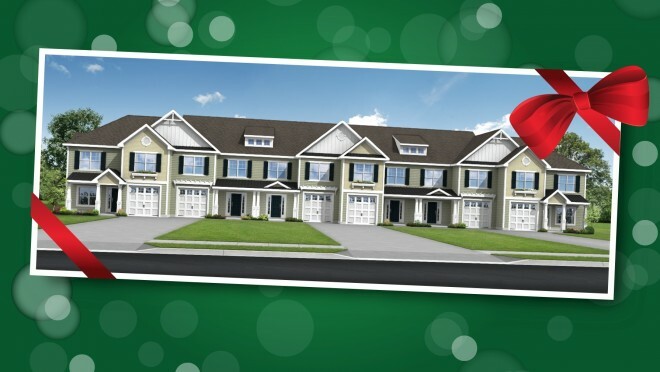 Don’t miss this opportunity to secure one of the nine remaining single-family home sites, and take advantage of the exclusive single family and twin home incentives. Start fresh, and build new at Bayside in 2014! The most highly anticipated event of Breakwater is finally here. 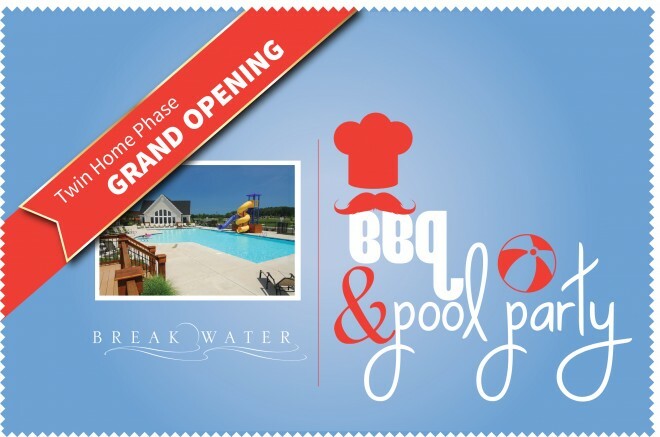 We are happy to announce our annual Labor Day BBQ will be hosted at the Breakwater clubhouse on Saturday August 31st from 11:30am – 3pm. Come mingle with our homeowners who walked in your shoes before purchasing at Breakwater and find out why they fell in love with Lewes, DE and Schell Brothers. 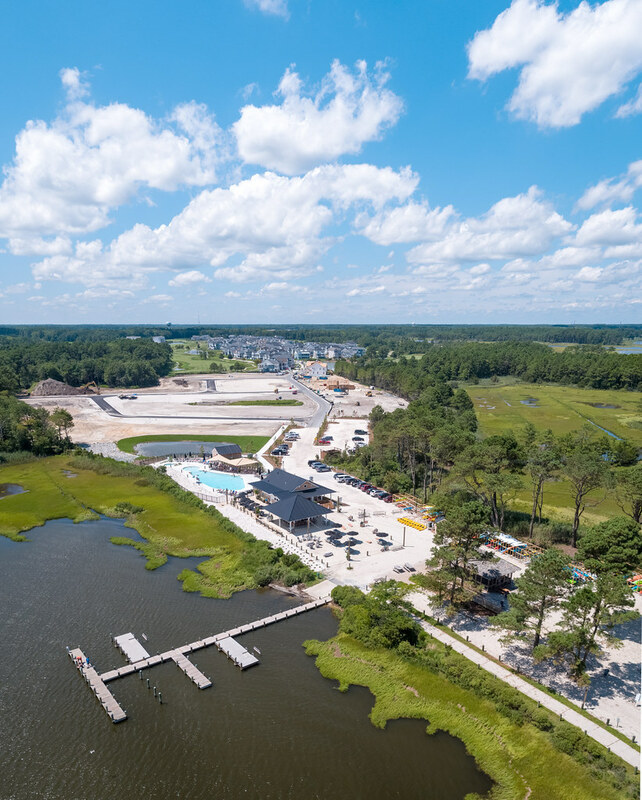 After you have enjoyed enough food and adult beverages for your liking, you’ll be able to tour the final phase of Breakwater and check out the amazing new home sites now available! This new part of the neighborhood consists of 28 twin home sites which all are pond front or pond view. Does it get any better than that? Yup, we’ll have ice cream. Many of you have been asking if we are going to offer townhomes in Breakwater again. Well, the answer is YES and they’re HERE! The new Beach Haven and Tradewind floor plans are now available. The pricing is AMAZING!!!! In fact, it’s the best value east of Route 1. To make it even better, for the first building (consisting of 6 homes) we will be giving BIG incentives: $30,000 off the purchase price. Don’t wait long because the second building’s incentive will decrease by $10,000 so you won’t want to miss out. There will be two Beach Havens available in the first building and four Tradewinds. They both include 3 bedrooms, 2.5 baths, and beautiful open living spaces. The Beach Haven consists of a first floor owner’s bedroom with a great loft area on the second floor. They won’t last long so definitely get in touch with us to learn more about these homes and see how you can reserve yours today! The wait for the new extremely desirable phase of twin homes is over!!! Breakwater is excited to announce that home sites 28 through 48 are now available for all twin homes. This has been a very sought after area and we know many of you have been waiting for it. For those of you not as familiar with Breakwater almost every one of these home sites back directly to one of the ponds. Both of these ponds include fountains so the view is top notch from all locations. We still are offering great incentives and have already had 2 folks take advantage of these in this phase in the short time it has been open. Give us a call today to see how you can reserve your 1st choice before you miss out. We just released an awesome new floor plan called the Sea Grass. This floor plan starts at 2,615 square feet with 4 bedrooms, 2.5 baths and a study. It has a really sharp look to it and is no doubt going to be a hit. Last but definitely not least is our amazing opportunity on a single family home. We have just announced a huge savings on the home site of the month. This includes $60,000 off the base price and $40,000 off options. A total of $100,000 off your new home!!! THAT’S CRAZY GOOD! The best part is if you purchase now you will still be able to enjoy your new home next summer with your family and friends. Perfect since we are only 2 miles from the beach. All Good Things Don’t Really Have to End! All good things must come to an end . . . or DO they? Of course not! As we enter the final phase at the Retreat at Love Creek, I realize that the fun we’ve had here will come to an end as we move on after completion. However, for YOU it can last forever. Seriously! Anyone who has driven through The Retreat at Love Creek knows that it’s a beautiful neighborhood surrounded by a conservation area, but it’s the people who live here that make it a special community. When you build a new home, you want to know that you will have great neighbors. The folks who live here are second to none. For me, it’s been a lot of fun meeting the homeowners and watching the community grow, and I want to thank them for all they’ve done for us. They’ve participated in developing the character of the community, from providing Christmas cookies to extending party invitations to sharing conversations on the street with future homeowners who happen to drive through. Any time we asked for help from the neighborhood we always ended up with more than we needed. It has been a great experience all around. If the residents are this great to us, you can only imagine how generous these neighbors are with each other. And I haven’t even mentioned the community happy hours, clubs, dine-out nights, and more. This spirit is something you can enjoy every day for the rest of your life. Who wouldn’t want to live in a great community that is made up of fun and generous neighbors? We are down to our final homesites and, at our current sales pace, we look to be wrapping this Lewes Delaware community up by the end of 2012. 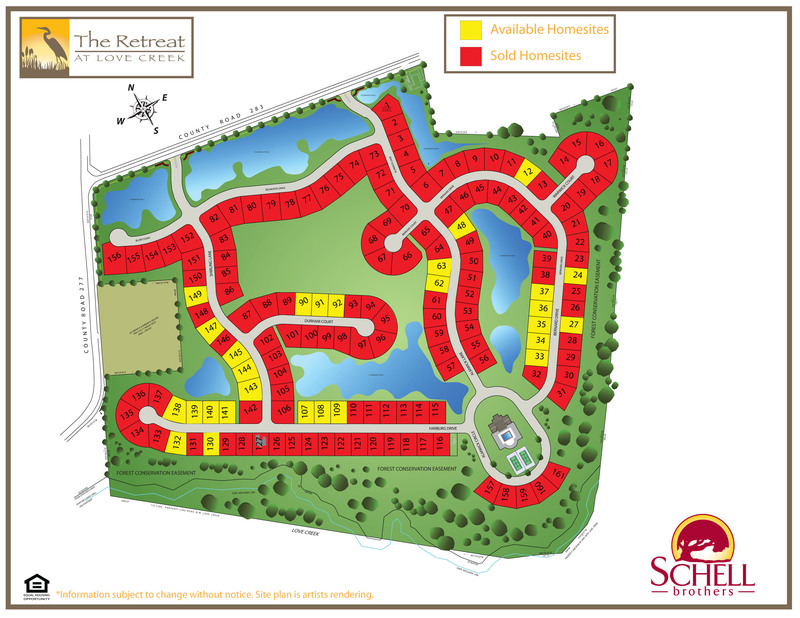 The good news is we still do have a few homesites that back to the wooded conservation area and creek, plus some that back to the serene ponds with fountains. Either way, you won’t have to worry about dealing with construction in the community for very long because we are nearing completion. So, as Schell Brothers gets closer to completing another chapter in our book, it could be the perfect time to start a new one in yours that doesn’t have to end. Come join the fun! Apr. 20th, 2011 | Comments Off on Life starts NOW! I get it – you want to wait for the bottom of the market to get the best deal. Congrats! We are here! The window of opportunity is right now with low prices, low taxes, and BIG incentives. Why keep your life on hold when you deserve to be really living it up? That’s what you’ve been saving for, right? I think a lot of folks here at The Retreat at Love Creek have already figured that out since we’re 75% sold out! Call me at 302-841-5705 or email me so we can talk it over, and I’ll update you on our new incentives. Posted in The Retreat at Love Creek | Tagged Delaware homes for sale, incentives, real estate market | Comments Off on Life starts NOW!